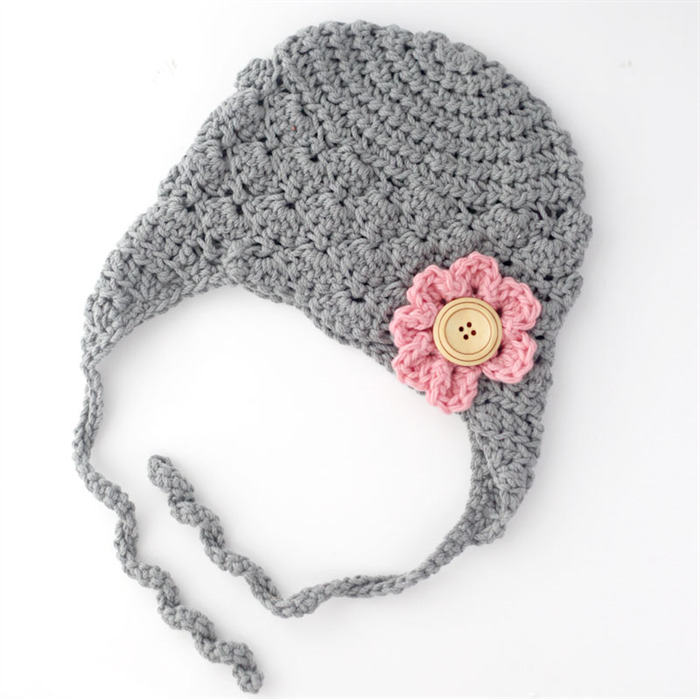 Made from soft dove grey yarn to keep little heads and ears warm this winter. Features scallop edging, curly ties and a co-ordinating pink flower and wooden button embellishment. 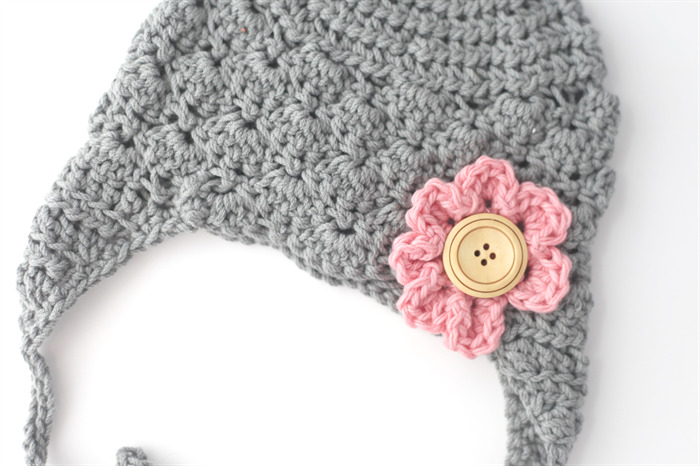 This listing is for a hat to fit a 0-1 year old.